It’s been a long time since I had a beer from Poland, in fact - the last Polish beer I ever had was Black Boss Porter, a rich, roasty, heavy porter that was not only affordable but made Guinness look like swill.. but unfortunately MLCC stopped carrying the porter two or three years back. 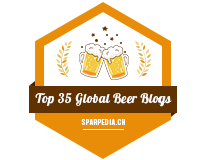 I tend to stay away from beers from Eastern Europe because the selection of Eastern European beers we get here in Manitoba is minimal and generally are only imports that are made at breweries owned by AB InBev, SABMiller or MolsonCoors, rarely the rare craft beers that truly show off a region. Today I’m checking out Tyskie Gronie lager made by Tyskie Browary in Poland, but in reality.. a SABMiller import. The appearance of Tyskie is clear straw yellow with a moderate amount of carbonation, a light amount of snow white head that leaves behind a light amount of residue as the beer is being sampled. 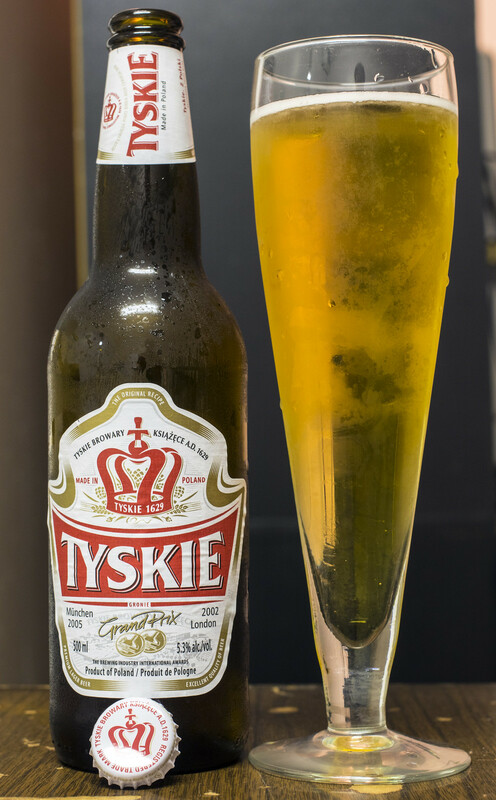 To me, the aroma of Tyskie is what most Eastern European lagers seem to be for me - malt heavy, sweet and skunky. The second I opened up the bottle, a huge whiff of skunky beer poured out intoxicating the room. As I poured the beer in the glass, the aroma went away for the most part just to leave behind the smells of not-so-fresh hay, overly sweet malt and a hint of grassy hops. The flavour is too sweet for my liking, a bit too much sugar.. but it’s mostly in the malt. I get flavours of soaked straw, a flavour that tastes like what paint smells like and a metallic aftertaste. Somewhat bitter but in the usual hoppy bitter sort of way, it’s more of that soaked straw taste leaking out. It’s fairly watered down so it’s easy for me to drink even if I’m shaking my head as I’m writing this up.. there’s so many better beers out there, especially Polish beers! At least Tyskie isn’t annoyingly skunky as Heineken or Stella Artois are because to me.. the taste of skunk in beer shouldn’t even exist unless if some hipster brewer wanted to make that “a thing”. Beau’s is back in town! After a quick sellout of Beau’s organic Lug Tread Lager, the beer is back in stock at the Corral Centre and 10th & Victoria Liquor Marts. 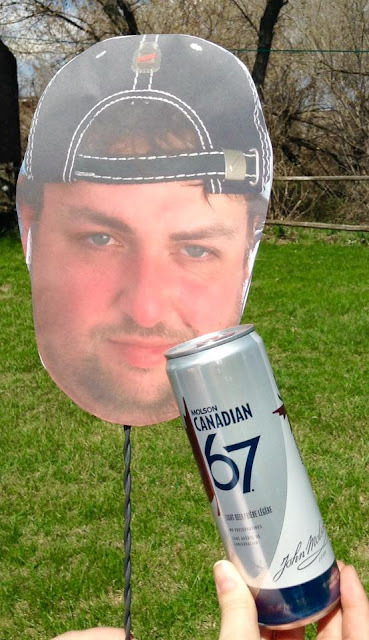 The beer is also now available at the Liquor Marts in Minnedosa and Virden. Beau’s is also bringing their Tom Green Beer and Oktoberfest Mix Pack to Manitoba in the coming weeks. The Tom Green Beer is a milk stout with notes of espresso, burnt caramel and a creamy chocolate milky finish.